Implement advanced warehouse management processes with Synaro’s Advantage Suite of supply chain management (SCM) software. It has several features that help managers run an efficient operation. The open system design ensures scalability and compatibility. This software helps companies define the particulars of their products accurately so that different modules (Order Entry, Purchasing, A/R, A/P, G/L) can recognize it in the supply chain and process it quickly. Add exceptions without affecting normal inventory processing and have the luxury of pricing flexibility for any sales channel. Another convenient feature, Hot Keys, displays inventory information and facilitates set-up. This inventory management software also features audits and reports about warehouse operations. It accommodates a multi-warehouse structure with unique pick paths and multiple locations. This allows companies to distribute inventories at multiple physical locations and virtual warehouses. Synaro’s small business solutions include web 2.0 and integration with existing applications. For governments, Synaro redesigns websites and focuses on user experience, usability, and accessibility. 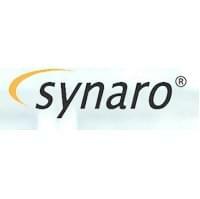 Synaro provides training to system administrators who are new to Synaro, UNIX, or AIX. Synaro is based in Folsom, California. They have provided warehouse management solutions to retailers, catalogers, wholesalers, distributors and manufacturers. Their Advantage software suite modernizes order fulfillment, call centers, inventory control, purchasing, receiving and other areas of business management. Learn everything you need to know about Synaro Advantage Suite. Our experts will reach out to you shortly.